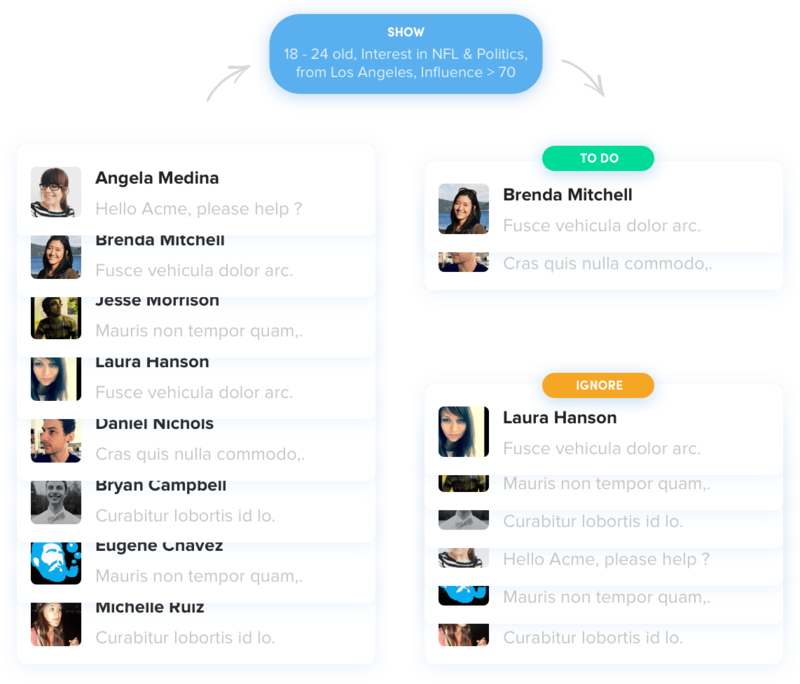 Social Objects is the smart way to manage your Twitter engagements. Prioritized engagements, Influencer detection, user insights, Audience targeting - all together, allows your team to save up to 89% time. Seamlessly handle millions of incoming conversations with audience prioritization and never be paralyzed again. Instantly reveal users that are most likely to convert thanks to audience targeting. Automatically prioritize your audience or influencers to cut out the noise. Social Objects makes it super easy for Marketers to collect Twitter conversations around their Brands and reveal those that matters. Monitor all conversations about your brand, industry, competitors, and customers. Automatically prioritize incoming conversations through audience targeting. Deliver an outstanding customer experience with Customer Insights. 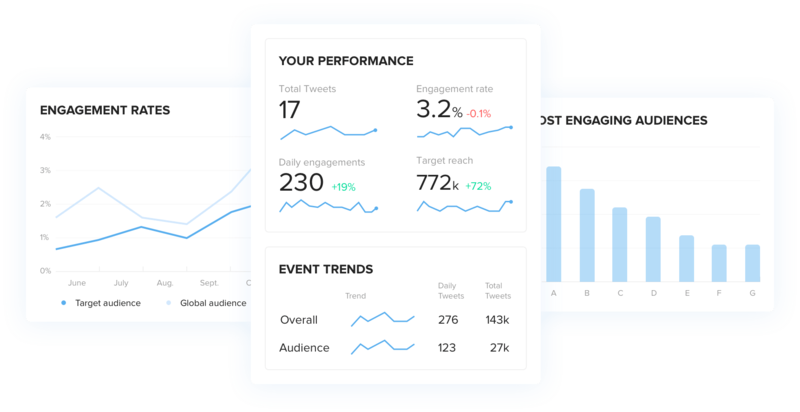 Analyze in real-time your Twitter performance & understand if you are on the right track. Deliver outstanding customer service by personalizing all your conversations thanks to user insights. productive on Twitter by prioritizing conversations that matters. Twitter can be overwhelming especially when thousands of people are talking about you. Social Objects removes that barrier by automatically showing you revelant conversations from people that matters. 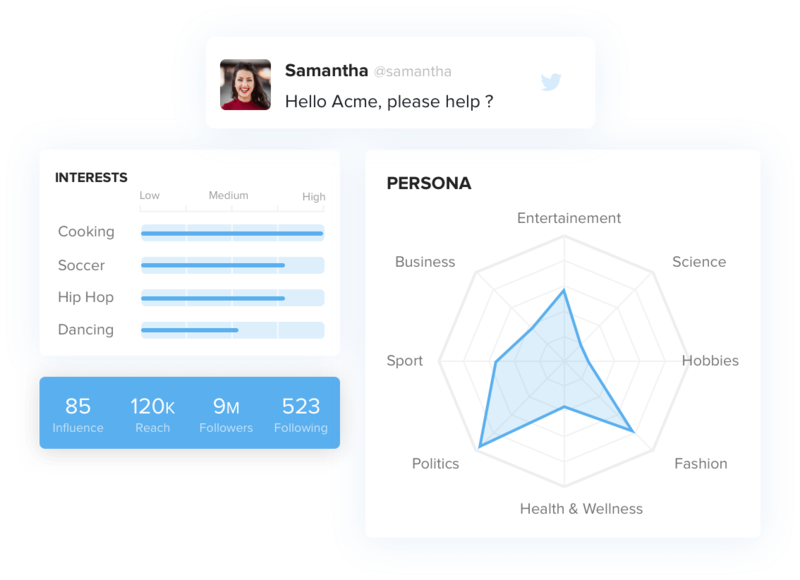 Leverage twitter demographics (age, gender, influence score) or psychochographics (Interests). campaigns thanks to Realtime Audience Analytics. The good news is that we are free for the moment! Social Objects is still in beta and we are looking for your feedback.